Time to re-watch these scenes. 1. The bathtub scene in Mary Poppins Returns involved Emily Blunt falling backwards into an actual bubble bath with a slide built underneath. 2. The scene in Spider-Man where Peter Parker catches Mary Jane's lunch was all Tobey Maguire – a glue-like substance was on his hands to keep it on the tray and it supposedly took 156 takes to get it perfect. 3. The amazing Instant Bread in Star Wars: The Force Awakens was very real. According to the movie's special effects supervisor, it took three months to get the mechanics and cosmetics of the bread just right, but it tasted absolutely terrible. 4. The pencil trick in The Dark Knight was two scenes carefully edited together – one with the pencil and one without. However this was still pretty risky as it required actor Charles Jarman to swiftly sweep the pencil away from the table in time for his head to land. 5. 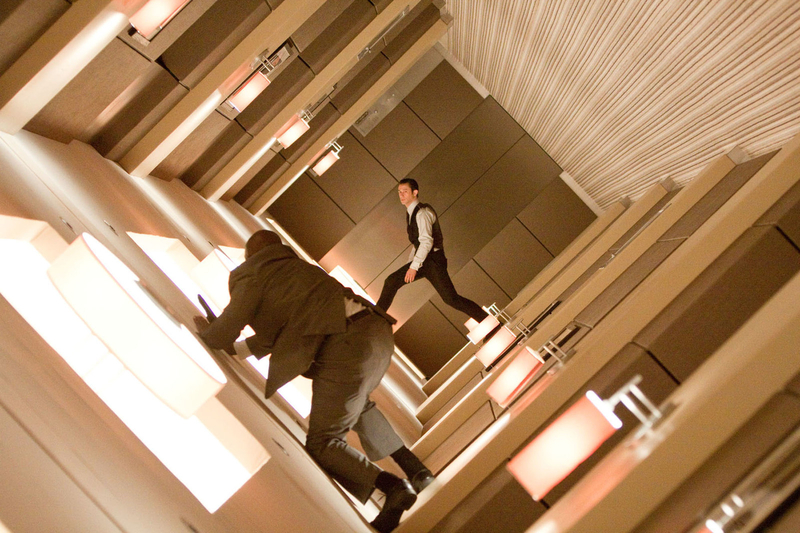 The hallway scene in Inception involved making a giant rotating hallway as well as using motion capture on the actors. Joseph Gordon-Levitt had to be trained in using wires and familiarise himself with the set so that he could walk without bumping into things. 6. The flame-throwing guitar in Mad Max: Fury Road is 100% real. Production designer Colin Gibson said, "yes, the flame throwing guitar did have to operate, did have to play, the PA system did have to work." And actor-musician iOTA had around four-to-six weeks to get used to playing it while bungee jumping and unable to see. 7. Doug Jones, who played Billy Butcherson in Hocus Pocus, had actual moths in his mouth – a rig was made for the inside of his mouth where there were moths and dust for him to cough up. 8. Tom Cruise is known for doing his own stunts but it's still pretty wild that he really did scale the Burj Khalifa, the tallest building in the world. 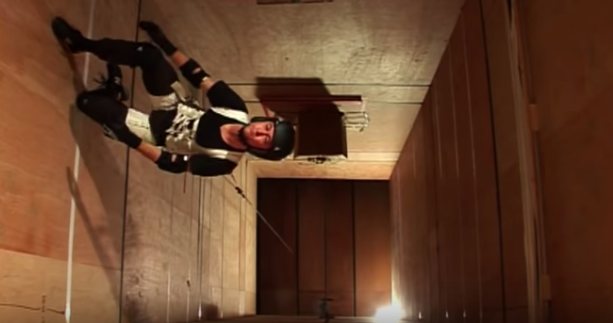 He did have a stunt double but they were there to test the safety rigging, so what you see on camera is all Cruise and the only camera trickery is the cables being erased. 9. Instead of using CGI to make Will Ferrell look gigantic compared to his school friends in Elf, forced perspective was used and he sat on a platform in a way that meant he looked super-tall. 10. For the White House explosion in Independence Day, the film crew made a 5-feet-high model of one which they blew up. 11. The end action sequence of Jumanji: Welcome to the Jungle shows Dwayne Johnson jump off a motorcycle, swinging around a statue, and then landing on the top of it. Unbelievably, that wasn't CGI! It involved stuntmen, the statue was smaller than it looks, and there were plenty of cables but CGI was only used to remove the latter. 12. The lobby shootout in The Matrix didn't have any CGI and was done using practical effects, taking ten days to film. 13. During the "Baby Joel" scene in Eternal Sunshine of the Spotless Mind, a slanted floor and skewed surface was used to make Jim Carrey look like a small child next to Kate Winslet. 14. 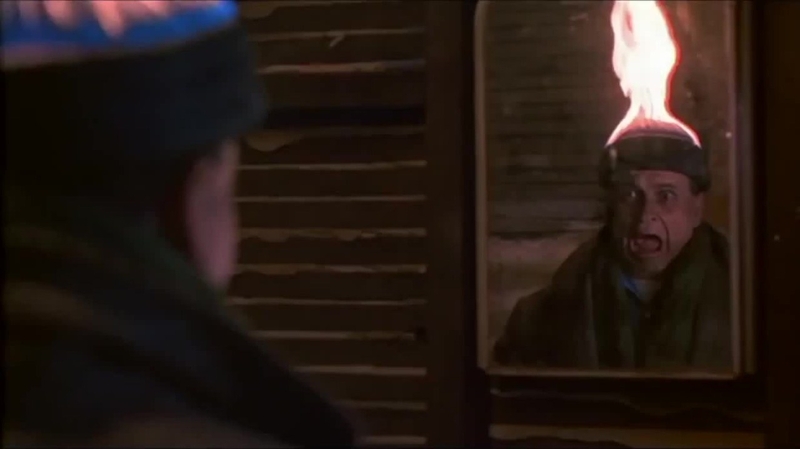 Some clever camera trickery was used for this fire scene in Home Alone using an illusion known as "Pepper's Ghost". 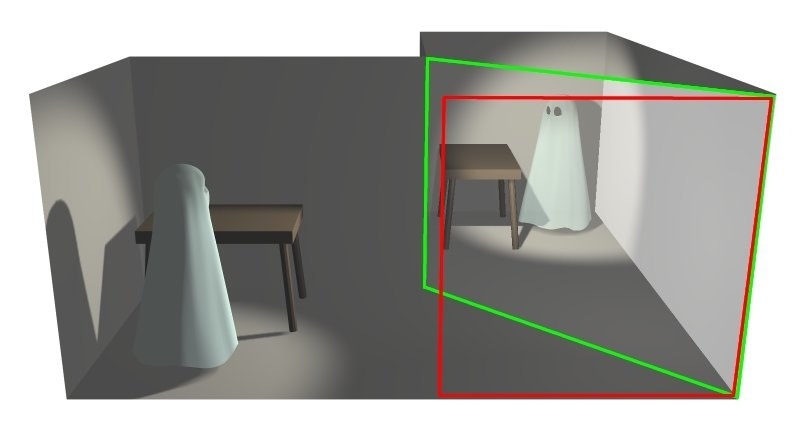 A large piece of glass was angled between the viewer and the scene, in front of a booth that contained a mannequin head that produced fire from the top of it. The glass then reflects the flame so that it looks like its on Harry's head.